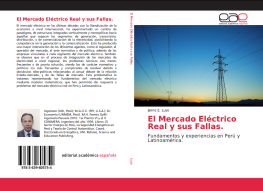 El Mercado Eléctrico Real y sus Fallas. Fundamentos y experiencias en Perú y Latinoamérica. Book published in November 2016 by Lambert Academic Publishing-Editorial Académica Española (Saarbrücken, Germany). Book published in April 2012 by Lambert Academic Publishing-Editorial Académica Española (Saarbrücken, Germany). 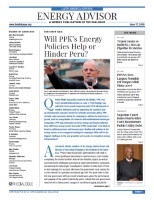 Will PPK’s Energy Policies Help or Hinder Peru? The Competitiveness and Sustainable Development Institute is a private, non-profit, non-partisan organization dedicated to promoting competitiveness and sustainable development in order to achieve high living standards and poverty reduction, predominantly in developing and transition economies. Among the main items on CSDI’s agenda is the understanding of the tension between economic growth, social equity, and environmental sustainability, on a worldwide scale. CSDI is committed to performing and disseminating unbiased, inter-disciplinary research and practical solutions among the business community, policy makers, and the general public.